Tickets are no longer available for purchase to Hogwarts Halloween on Friday, October 19 or Saturday, October 20. Friday, October 19 l 6-9 p.m.
Saturday, October 20 l 6-9 p.m.
Hogwarts Halloween welcomes youth ages 5-14 years on a magical adventure to a school of witchcraft and wizardry. Northside Aztlan Community Center is transformed into a world of mystery, games, and magic for witches and wizards to explore. 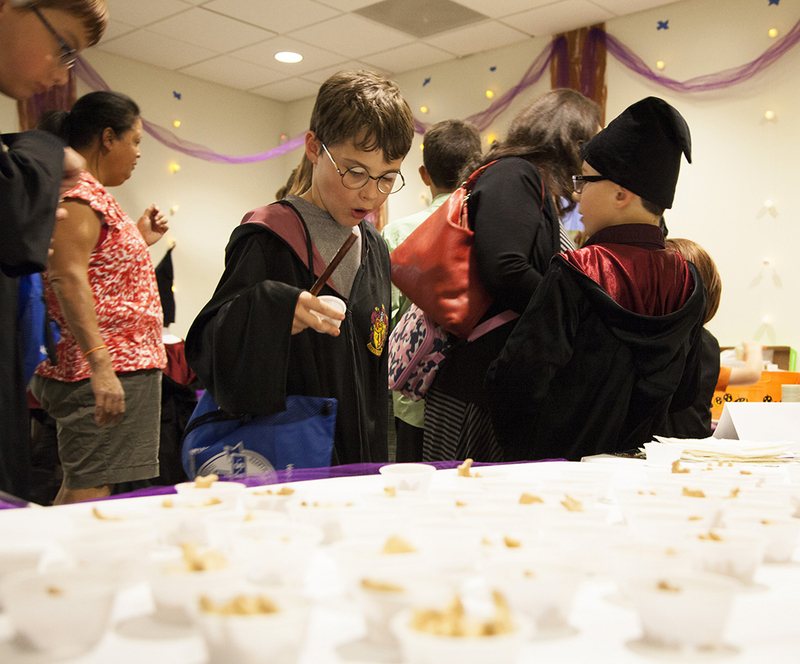 More than 600 attendees are expected to roam the haunted halls to practice skills and courses such as casting spells, creating potions, eating chocolate frogs, drinking butterbeer, and playing Quidditch. New this year: Smokin' Classix BBQ and Human Bean food trucks will be outside Northside selling food and treats. Prices range between $5-12 per meal. Check-In Early: The doors for Hogwarts Halloween will open at 6 p.m. If you'd like to get in ahead of the crowd, we welcome you to come to Northside early to check-in. We will be checking attendees in and giving out admission wristbands beginning at 5 p.m. Reminder: Children 10 years and under must be accompanied by an adult (one adult can accompany multiple children). Children ages 11 years and older that are attending alone should be checked-in and signed-out of the event by a guardian. Calling all witches, wizards, and muggles. Recreation needs you to assist in creating a magical night for Fort Collins' Potter fans. Participate in castle decorating, Quidditch pitch set up, charms and potion class scheduling, and more. To register as a volunteer, sign up through Make a Difference Day below. For more information on volunteering contact Lisa Freeman at bGZyZWVtYW5AZmNnb3YuY29t or 970.416.2528. We would not be able to offer this family event to our community without the support of our sponsors. Thank you for your interest in supporting Hogwarts Halloween. Sponsor applications must be submitted by August 20, 2018. For sponsorship questions, contact Jami McMannes at 970.221.6358 or am1jbWFubmVzQGZjZ292LmNvbQ==.